When former Health Minister Sussan Ley ignited a multifaceted review of the nation’s health system two years ago, HBF CEO Rob Bransby became a warrior for reform. 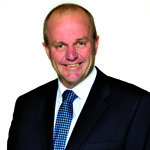 As president of Private Healthcare Australia – the private insurers’ peak representative body – he was invited to the table in Canberra and made good his time there pushing the affordability agenda at every turn. As of April 1, Rob has retired from the frontline and the CEO’s office leaving HBF’s COO Julie Keane the interim head. In his 11 years he has overseen the journey form vulnerable mutual ripe for takeover in 2005 to a sophisticated, successful digital health insurance business in 2017. It is, he says, one of his proudest achievements. Medical Forum spoke to Rob the day after the premium rises were announced. HBF had lifted its premiums by 1% from 2016; other funds were fractionally lower but their 2016 rates were higher. All grist for the premium mill (though it is interesting to note that Avant’s health insurance business, Doctors Health Fund, decreased its premiums by .02% to 3.54%, see table). While the tinkering at the premium edges goes on, the song remains the same: health costs are going up, premiums must respond. However, Rob Bransby thinks it’s time for a complete overhaul of the 20-year-old settings which rescued the health system back in the 1990s but hamper it today. “We need to look at the entire system and do it better,” he said. That’s why Rob has loudly advocated the necessity of reform – from preventative health to digital health. Rob is retaining his seat on the board of the Australian Digital Health Agency because it is his belief that digital technology is the single most likely driver of change. Politics has an uncanny knack of disrupting progress and so it has been with the resignation of Sussan Ley and the installation of Greg Hunt as federal Health Minister. Ley had mostly steered a steady course – the MBS Review swept into some neglected corners such as prosthesis pricing and obsolete item numbers but a close election, where politicking on health and specifically Medicare was a near-death experience for the Coalition Government, slowed the reform process. However, Greg Hunt has impressed the stakeholders with his ability to pick up the baton. Rob told Medical Forum the new Minister was on the phone to him on the day of his appointment talking about the issues; AMA President Dr Michael Gannon was reported as saying he was similarly contacted that day – twice. “I’m 100% confident he will pick up the pieces of this reform agenda. He specifically called out three areas, which I won’t share with you, but he understands the levers,” Rob said. “It will take a brave government to deliver on the reforms we desperately need; to come up with a model that is sustainable but doesn’t compromise safety, quality and outcome. I know that sounds easy to say but the thinking needs to start now because it won’t happen overnight,” he said. What is universally accepted is the need to maintain the 50:50 public/private health split, which has made Australia the envy of the world. But that balance is now precarious. Rob is a great advocate for better funded primary care, which he spoke to us about at length back in June last year. He hasn’t changed his view but private health funds are not invited into that space – yet – and private hospitals remain their core business and concern. On Page 16, we speak to the new Executive Director of WA Hospitals for St John of God Health Care, Mr John Fogarty, who reflects on the worrying affordability gaps in private health funding. For Rob, the solution lies in changing those health settings. As a way of illustrating how consumers themselves are pulling away from traditional models, Rob says the private insurance sector has paid more than $1b for private patients in the public hospital system. In the February edition, cardiologist Dr Mark Hands was concerned that payment linked some way to outcomes was around the corner. It is the elephant in the room. “I don’t think the funder should ever interfere in the relationship with the patient in terms of best treatments and the best outcomes because we are not trained in that; practitioners are and we have complete faith in them,” Rob said. Consumers are at the heart of it all, yet Rob says the average consumer is pushing a stone uphill in a very complex landscape. Last month the MJA published an article highlighting just how opaque specialist fees were and it set feathers flying. As far as Rob Bransby is concerned there should be global transparency of all prices throughout the health system. Reactions to the premium increases were mixed and marked mostly by relief that they were the lowest they had been for some time! However, The AMA President Dr Michael Gannon told Sky News on February 10 that there was growing concern about costs leading consumers to question the value of the private system. “Now this is a concern for all of us. The private system is an absolutely essential pillar of our health system. It offers patients choice. In many areas of health care, it’s more efficient. In many areas of health care, it’s safer; 70-75% of operations and procedures are done in private hospitals. There is at least publicly bipartisan support for that blended public and private system,” he said. In retirement, Mr Bransby will divide his efforts between his property in the Swan Valley, where he breeds horses, and five non-executive largely community-focused directorships with Synergy, the Insurance Commission of WA, the Government’s Australian Digital Health Agency, Commonwealth Bank’s advice businesses and the listed Pioneer Credit.